CrossingTheMendenhalls.com -- you are here. -- Or is it the same old "others" only using Leon Harward's honorably proposed Utah Crossings Bridge Project as another "profitable opportunity" for their amoral selves -- so are attempting to "do it again" to Paul and Mary, as they did in the past by; "Double-Crossing the Mendenhalls" and stealing land from defenseless Paul Mendenhall and his loving wife once more? Note: Since the initial version of this web page was published, we do apologize (and have done personally) to Leon Harward, in his well intended Utah Crossing effort, and to his well intended associates, and we do apologize to any reader that may have been left to believe that we (the Mendenhalls and friends) were accusing or implicating Leon Harward himself or his Utah Lake Crossing Corporation as being the part or party to the attempts of any injury and theft of land from Paul Mendenhall since the Utah Crossing's Bridge received its public announcements. We had not ever intended for anyone to assume that the unscrupulous actions, that have occurred coincident to and since Leon's Bridge proposal was made public, was from Leon Harward himself or his Corporation, but rather that his proposal to build his bridge (which we deem as a reasonable and honorable effort), unfortunately provided otherswith just another opportunity to cause more injury, devious actions and theft of property and to profit (once again) by taking advantage of a handicapped man with progressively debilitating Cerebral Palsy, whose parents could only leave him with naked land which they had originally homesteaded, farmed and grazed as the main lands of Saratoga Springs (and Paul himself successfully worked in his youth and into his adult years) as their only reasonable means to sustain his life without them. Also because not all information about the bridge was made public at the time of initiating this website and its dialog, some of the emotional reactions and statements made by us (the Mendehalls and friends) were based upon supposition and perceptions as best determined in the void of information at the time. Leon and we (the Mendenhalls and friends) are cooperatively laboring to clear up that absence of understanding and facts affecting Paul, including the actual proposed landing sight (just recently staked) and road rights of way which were not know to us (the Mendenhalls) or the the general public at the initial writing of this website in Oct 2009. Again this website was never intended to personally discredit or defame Leon Harward, Utah Crossing, or his rightly-conceived Bridge. It is however intended to expose and defame the actions of the other heartless, selfish, immoral individuals who see this development of Leon's Bridge as just another opportunity to steal the final piece of dirt from a kindly, gentle, defenseless man who has trusted many, and was betrayed by many, yet has never harmed anyone. That kindly, gentle, worthy man -- only asking for open, fair treatment and honorable recompense for his very last piece of inheritance as his life sustaining support -- is Paul H Mendenhall, and his faithful, unfailing, caring and loving wife Mary. As soon as Leon Harward proposed and disclosed his honorable labors to build a bridge across Utah Lake, other persons appeared and found this improvement project as another opportunity for more "Double-Crossing" the Mendenhalls. As announced; a bridge crossing Utah Lake was purposed and is said by Leon Harward to be secure and could be begun in a year! -- But where precisely was the Saratoga Springs land terminus to be? We, that is specifically Paul Mendenhall, (as of Oct 2009) had not been told! Yet the map above shows the Saratoga terminus very nearly on or near what appears to be his land!!! We true friends of Paul Mendenhall have now discovered and to often seen the skulduggery pulled on this kind-hearted man who cannot easily defend himself since he was born with Cerebral Palsy and was left with the homesteaded lands of his parents and grandparents so as to provide for his support. Yet low-life men (NOT Leon Harward), and women, some claiming to be friends and worse even, "religious" brothers of this community, have maliciously stolen sections of Paul's land and left him nearly penniless and homeless while they buy off and coerce the City, County and State to add obstructions to his efforts to survive, be maintained and benefited through his inheritance and causing even further disabling economic injury to Paul. Prior to the bridge proposal, several years ago, had I (Thomas L Rodgers) not stepped forward, advocated for Paul, exposed the extortion and the extortionists, and did public battle for Paul and Mary Mendenhall, they would never would have been restored to their home and remaining property which they were being swindled out of before. Now Leon's honorable bridge proposal has set a new stage for the old vultures to try to ravage Paul once again. With the proposed bridge terminus on or near his land, the old mercenaries have raised their ugly heads again to attempt to steal his property, now seen as commercially golden, so that they, instead of Paul, can profit from Leon's good labors for community access and improvement. So again self-serving low-life men and women again appear to be attempting to take advantage of this defenseless man and extort even more from him (including even that home and land which I got restored to him) in their heartless greed, and are using Saratoga Springs, Utah County, the State of Utah and its Bureaucracies to do it. Now a thankful Allen Childs, a long time family-friend who helps Mary care for Paul and his farm, is also incensed and is acting (with me) to help prevent the heartless theft and cheating that is apparently being perpetrated by the so called "good of the community" pretentious but devious businessmen and their also pretentious "honorable" (or craftily duped) Bureaucrats. I want the public to be aware of the circumstances of Mr. H. Paul Mendenhall. 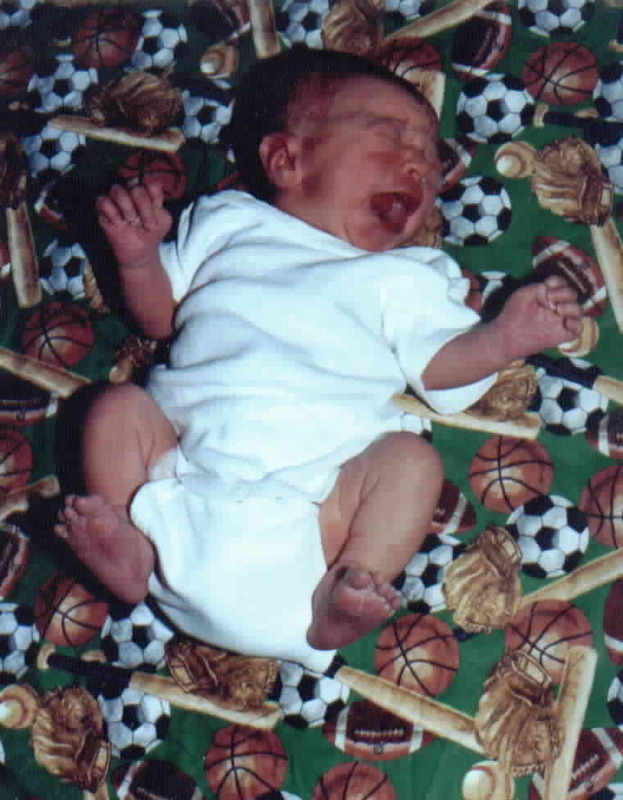 His Grandfather came to Saratoga Springs in the early 1900’s and His parents moved to Saratoga Springs in 1942, when Paul was only 6 months old. 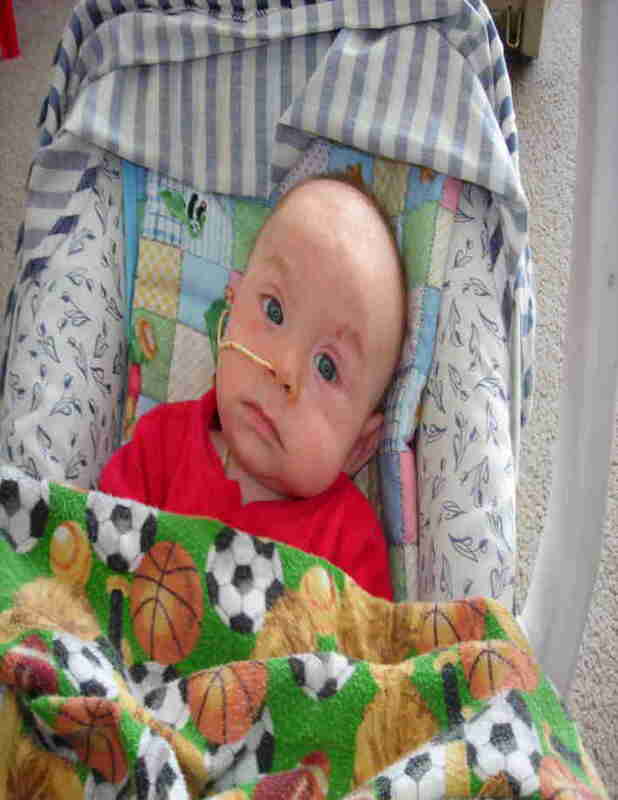 He was born with Cerebral Palsy and both his parents had passed away in 1985. He married in 1986. Upon the death of his parents, he lost land to his adopted sister. In order to redo water damaged to that house Paul sold his original homestead house. It was very difficult for him to loose his original home he knew since the 1940’s. Before the recession ever struck, his builder/developer tried to develop 23 acres together…The City changed Zoning, Green Space, trails, etc. until the builder/developer departed in frustration. Paul was left to his Social Security Income, meanwhile other larger developers continued unobstructed by the City and its Planner to develop other's large tracks of land for houses. In late 2008, a lawsuit by a wife and suspected attorney husband -- they have the same last name -- filed a lawsuit against the Mendenhall’s . The plaintiff, Mrs Hansen, claimed they have a right away for a 40 feet commercial/public road and that they need access to an 1860's calcite mining claim (no deed has ever been produced that we know of) and we don't know the Judge involved. to the south side next to the IRCCO property line (and straight through Paul and Mary's home). We ask that the City be involved in the disapproval and protection of land owners against all unethical parties that would seek to gain at the expense of land owners. This goes for the proposed bridge/corridors being planned. The Mayor’s response was to change city policy and the city can’t don’t anything more for Paul. they need to be adequately consulted or compensated for any land or right of ways being imposed. I don't think the city would want more mining Trucks and roads, driving in the middle of their planned resort area??? If the city could disapprove repeatedly Paul’s and his builder’s development project, why can’t the City oppose a new mining road?? We already have a mining road in the area, it simply needs to be extended. The defendants (Paul and Mary) are not being consulted by the Judge, lawyer or the litigants on other options for this mine access road demand….The Judge’s name is not even listed or signed, so is unknown in the lawsuit. Anything, except paying him for it. Why can’t the public be made aware of deals with unethical behaviors when it comes to taking land or homes? Help Paul, complain to the city and Utah lake Commission …. Small developers that follow city code, should be allowed to develop in Saratoga Springs too?? Why can’t real articles be published in The Cross Roads Journal that deal with whats happening in real life? Email from Rebeca Call staff writer "The Crossroads Journal"
PROVO, Utah (AP) - Utah Gov. Gary Herbert has kicked off a two-year, $139 million project to reconstruct a Utah County highway that will feature a commuter lane design never used in the state before. The Highland Highway, or state Route 92, will ultimately split into an expressway that will speed commuters to the freeway with no lights. Two adjacent lanes in each direction will let shoppers and residents reach their destinations without using the expressway. The 6-mile project will be finished in summer 2011. On Wednesday Herbert attended a groundbreaking ceremony for the road. He and transportation officials say it diminishes congestion, boosts the local economy and introduces the state to a design that lets drivers bypass intersections. Imagine driving from Orem to Saratoga Springs in less then ten minutes. A reality or a dream?? According to a Utah County businessman and a State lawmaker it’s going to soon be a reality. 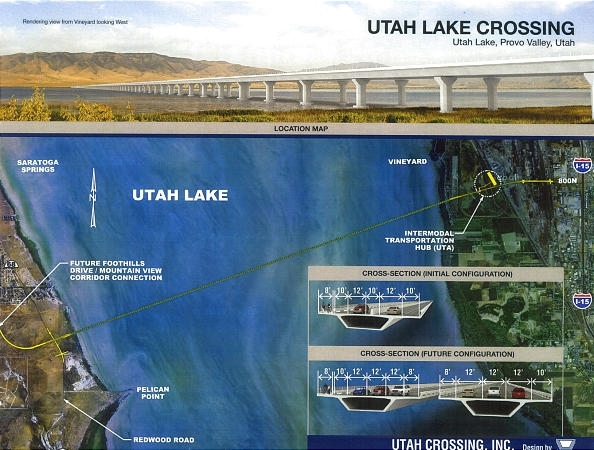 The plan: A new six mile toll bridge that would shoot straight across Utah Lake connecting Orem to Saratoga Springs. The two lane privately owned and constructed bridge would be a toll road and cost about two to three dollars to cross. It would have a bike and pedestrian path and would sit 35 feet above the water with a 55 foot hump in the middle. The cement pillars would be 150 feet apart and total construction would cost about $600 million. The bridge would be designed by Figg Engineering, a company that has built bridges across the country. Gary and Sharon Nielson who own a sail boat at the Provo harbor, are concerned about the pillars and the height of the bridge. The mast on their sail boat is about 32 feet high. “I think I would be against it because it would be difficult to sail around. We’d end up having to sail on the other end of the lake.” said Gary. But boater Keith Morgan likes the idea. “Look how much easier it would be to access the other side of the lake,” said Morgan. The bridge is expected to take about three years to be built and is in the process of being approved by the State Lands department. Harward is optimistic that construction could start in less then a year, but he‘s expecting a fight from environmentalists. If all goes well with the bridge, Harward plans to build a second one right next to it. So one could be used for west traffic the other toll bridge for east traffic. The following article came out in the local paper "The Crossroads journal"
Leon Harward of Utah Crossing In.c in attendence. The sole reason for their visit: Utah Lake Crossing. over the next 20-30 years. Corridor and Pioneer Crossing, this will not be enough to support the growth." to and beyond the years 2030." just north of Pelican Point. away from the Intermodal Transportation Hub to be built in Orem. considered. Members of the City Council are open for communication on this matter. 2008/2009 Steve Arbuckle is told by Leon he would give Paul Stock in Utah Crossing Inc. if he puts all his land in his company? Fall 2007, Taxes goes up from $500 to $35,000 dollars for sale of nothing? Utah County says it made a "mistake", thinking land was sold??? 2009 Steve tells us that Hansen's Road will be on the North side of Paul's Property and Steve takes GPS coordinates of Paul's Property a month or so later, they want their road on the south side of Paul's upper property ...We suspect Arbuckle gave them Coordinates... and is working for Plaintiff. August 2009 video cameras and picture taking of Paul's House from Redwood road, I contacted Nicole Colward she said it isn't her people? Late August/Early September a mysterious fire is set at two places so the Saratoga Springs firefighter told me at the entrance to Paul's Property..
Map drawn by the Mendehalls displays so-called road claims and its shufflings in a "lawsuit for right of way" apparently set up and intended to cause Paul to loose his land and home in malicious or corrupt litigation, and be left with no money to pay his defense or fight. This map was drawn by the Mendenhalls prior to October 2009 (refer Hansen Lawsuit for road late 2008 above). 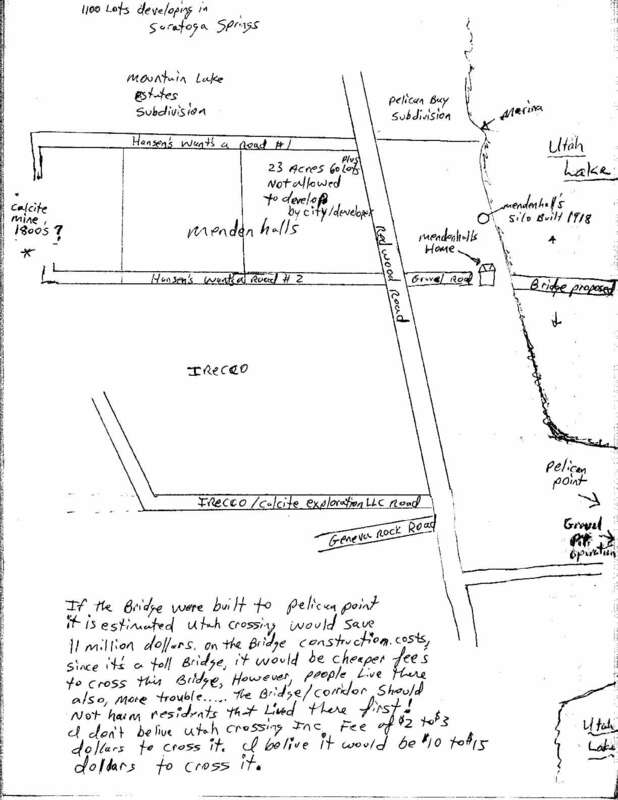 It shows the two road rights of way demands (as also explained to Paul by then involved real-estate agent Steve Arbuckle) on Paul's land, section West of Redwood Road, which as you can see #2 curiously lined up with the drive and house on the East section, which made Paul suspect it as a possible intent to join it to the bridge. As arrows above and below "Bridge Proposed" indicate, neither the Mendenhalls nor the public had been told anything about the exact landing sight for the bridge, so this coincidental lawsuit looked reasonably suspicious for getting road right of ways to the bridge for free by the Hansens taking it through lawsuit from Paul. Old trick, new opportunity, Leon's proposed Bridge -- profit for the Hansens, more injury to Paul (and Mary). This gravel road below is the drive (in line with the Hansen's roadway claim #2) to Paul's home -- so if they (not Leon or his Bridge builders, but those with the Hansens or others like them attempting to profit from it) get their way -- there potentially goes his home too. Also notice the dense subdivision right up to Paul's property in upper right -- yet curiously not one house has the City ever allowed or approved on the adjacent land owned by Paul. Saratoga Spring's Ken Leetham played the zoning and re-zoning bait and switch change game multiple times on Paul, causing his honorable developer Mike Dubois to finally give up after losing too much money to drafting, redrafting, submitting and re-submitting plans, only to be told "we can change zoning any time we like!" Yet the other developers on adjacent lands build, sell and profit, unimpeded! So what is the City's plan? - see both maps above. They have never got a straight answer from Ken Leetham or Saratoga Springs with its manipulating Cabal of land speculating buyers and developers who have swindled and stolen hundreds of acres of land from Paul before. land for development around the bridge. So who is lying? Well as far as truth is concerned, Utah Crossing, Inc. Sorry, Mr. Harward, but we'll trust Mayor Parker, thanks. The Mendenhall's settled much of Saratoga Springs in the early 1900's. All Property owners in the area of the bridge need to be informed of the impact of the bridge upon their properties. The City of Saratoga Springs needs the data of the traffic numbers of the proposed bridge from Utah Crossing Inc. or who ever is contracted to build the bridge. The environmental impact studies needs to be released? Where precisely will the proposed bridge make landfall into Saratoga Springs, so that the city planners are aware so roads, utilities and land uses can be planned. We need to know about easements for said bridge, if land truly has been sold, or is it leased and from whom? Utah Crossing Inc. is keeping everyone guessing. We need more transparency both from a public standpoint and for city planning. The land was estimated by a previous Realtor at 135k per acre lakeside before the recession. The Mendenhall's set their price then and still have that land advertised at 100k per acre. (This prices may change if he Owners so chooses in the future.) However, we suspect the bridge builder is trying to get all land both sides of the lake at rock bottom prices to help fund his bridge...He has made a few offers, but nothing substantial to the Mendenhall's for land, He wants everything for little or nothing from this disabled man and his wife, which is outrageous...They live on social security. Because of city development criteria and requirements frustrated their developer; so he left their project, and decided to build elsewhere. Meanwhile other developers are going ahead in Saratoga Springs unimpeded. Please don't let the rich and powerful push disabled people around...don't let a land-grab free-for-all happen either... Don't make the vulnerable even more vulnerable in our city. Be a moral voice! Paul inherited land from his grandfather and parents that settled and farmed Saratoga Springs in the early 1900's. Those people (cloaked as upstanding Brothers, holding positions of authority in Paul's Faith) pretended to be his friends, obtained Paul's trust and title, then put a lean on Paul's land in the center of Saratoga Springs against their shady investments in the "Tumbleweed" Development Company which they purported... That company immediately (supposedly) went into default. The lending Bank with these collaborates had 6 hired attorney's, while Paul and Rosemary could barely afford one. Paul and Mary at the same time tried to buy physical help that quit after borrowing $8,000 and obtained a $50,000 mobile home from Paul and Mary, with promised handcap type aid help for Paul. 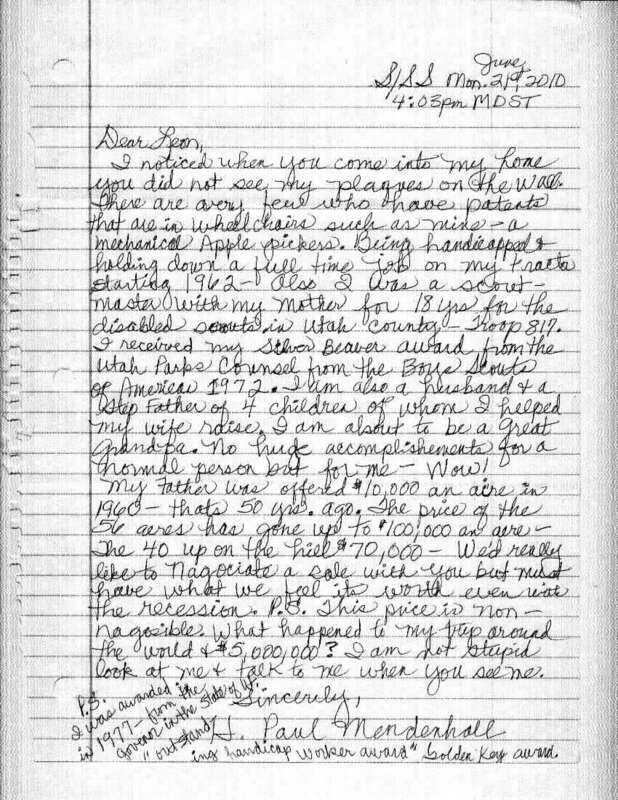 When confronted to explain truth about Paul and Mary's funds, she quit working... and never paid anything back. Just after the restoral of that land (through our true friend's unselfish efforts), 6 years ago, Paul hired a developer to try to develop 23 acres. But Saratoga city gave him the run around, changed zoning, three times, etc, etc... so after over a years efforts to deal with the City managements cabal, in frustration and with the added costs they forced upon him, the developer had to quit Paul's endeavor and he went to another city to build instead. The Saratoga City Planner that created that impairment and the consequent injury to Paul and his developer is quitting Saratoga City and going to North Salt Lake, finally. But meanwhile, another developer (well connected within the Saratoga city bureaucracy) is allowed to build adjasent to Paul's land unimpeded (except by the failing economy) while a harmless, gracious, disabled man can't even build on the last piece of his own home land, much less sell a parcel to pay his medical and existence needs. Then in this same stressful period, some people out of the blue claiming a mine road right of way filed to sue Paul for a road passage without any offer of purchase through his land, probably intending to sell that right away to the bridge builder or the developers connected within or favored by the City Council (as were the ones who at the earlier "sheriff's sale" took the large tracks of Paul inheritance lands before). I think people are trying to keep Paul cash poor, so they can take advantage of him, steal his land while he can't afford the competent legal help to defend himself in anyway. The heartless greedy with divisive power, control this City and its officials. Paul doesn't Golf with them on Sundays, he is confined to a wheel chair... so they don't care about him, his wife, or what is fair, honest and just for him! Paul loves Saratoga Springs, Utah; it is where he was raised, labored, loved and lived, it is his inheritance and its soil is what gave him breath, sustenance, joy and purpose as he worked it, even laboriously driving his tractor struggling in his handicapped body, He just now has his very modest wheel-chair friendly dream home setting upon the last small fraction of his remaining land (which also was almost stolen) to live upon and enjoy in his well eared, worthy of undisruption, peaceful middle and senior years of his and Mary's life. Your kind help in exposing this malfeasance against this kind (handicapped) man and his wife who have always helped others and never harmed anyone is appreciated..
Notice posted on KSL.com under Classifieds > Announcements: Charity > "advice and help wanted" Saratoga springs, UT 84045 - Oct 6, 2010: "A Legal battle for land against a disabled man by an attorney, a woman, and the Judge ... "
> Classifieds > Charity > "advice and help wanted"
A Legal battle for land against a disabled man by an attorney a woman and the Judge hearing the case all share the same Surname in Utah County, Mr. Mendenhall has a heavy bill lodged against him by an attorney (which Pauls' realestate agent had consulted but, never seen, nor formally contracted by Paul). And although the Mendenhalls asked for compensation for Attornies fees etc.....No ruling has been made in the case and The Mendenhall's so-called attorney who ever he is? never met with the Mendenhall's, never povided disclosure, no discovery was ever made... When the Mendenhall's requested more information from that "invisible" attorney, No information was given. 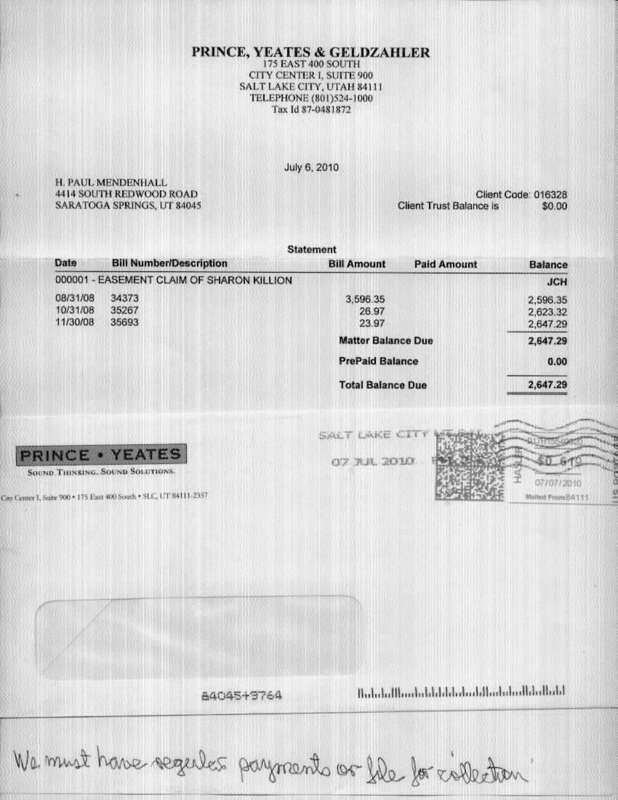 Prince, Yeates & Geldzahler of Salt Lake City, Utah. All the Mendenhall's get is threats to send their bill to Collections. There is a lot of shady deals going on here... They can file a complaint to the Utah bar, but does anyone know the process? Then LifeSave.org VeganCowboyScientist.org TomRodgers.org and more with his hope to benefit you and others.